A half-day of travel starting at about 3AM brought us to our true ‘vacation’ within the trip: Eight days of salt, sand and Singha life on Koh Kood, home to some of the most beautiful beaches in Thailand. Despite being the fourth largest island in the country, Koh Kood is largely undeveloped and not yet over-run with tourism - a perfect respite, we hope it stays this way forever. We chose Gumm Lonely Club as our accommodation for the first half of the excursion. Gumm’s place is a quaint renovated fisherman hut in a village perched over a mangrove waterway about 50 meters from the southernmost beach on the island. Gumm and his girlfriend Jaeng were excellent hosts; always ready for conversation and to make amazing Thai food for a reasonable price on request. A former Art Director/Prop Master for a Thai television network, Gumm has decorated his place immaculately with lots of color and rustic flavor. We were definitely enchanted by our home away from home for the next few days. 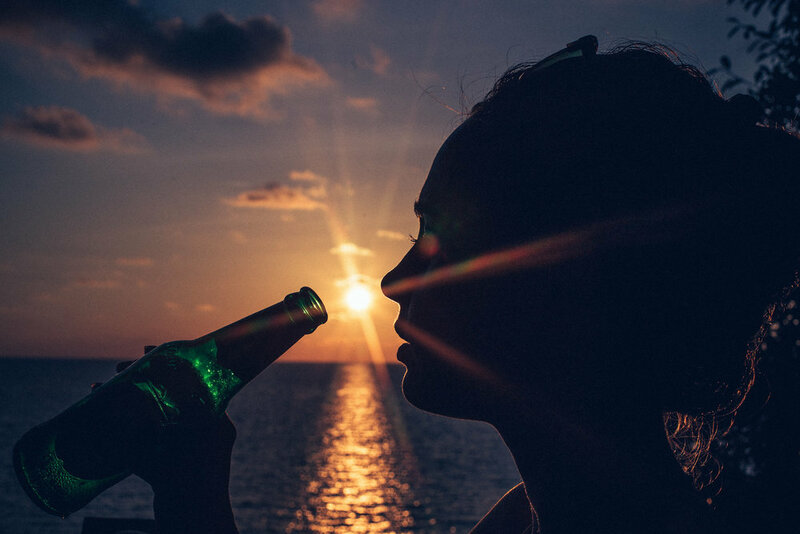 This is a scene that would become quite familiar over the next week: cheap, cold and local Thai beers consumed happily while watching world-class sunsets each evening. This was our first taste of what would become a daily ritual; Tom Kha, Singha and the light show at Good View Cafe near the island’s main beach.